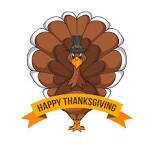 Closed Thanksgiving Weekend November 22-November 24. We will reopen on Monday, November 26, 2018. We wish you a safe and happy holiday with your families.